It was the Dambusters Hamfest on Sunday. Sadly the weather was awful with heavy rain all morning so was only there for an hour. 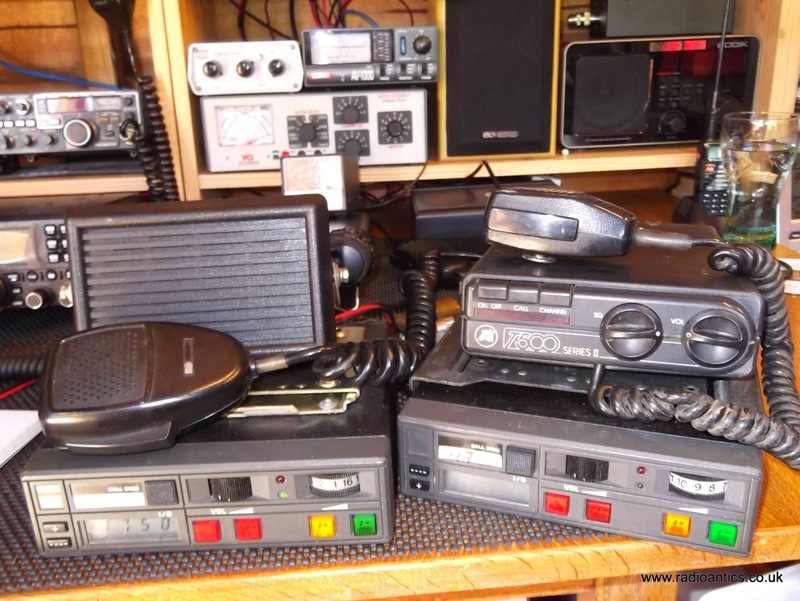 Despite the flying visit I managed to pick up a couple of old PMR radios for conversion. One is a Tait T535 2-Channel Mobile PMR which can be converted to amateur 2m operation relatively easily. Details are available on the internet including David Pye’s website. I intend to use this unit to set up a permanent APRS internet gateway/digipeater. While walking around with the Tait I attracted the attention of another seller who had some PYE MX294 units for sale. 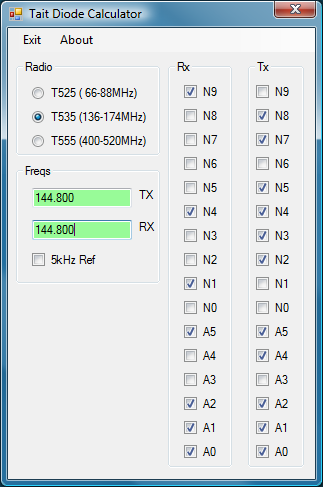 One was already converted to work on the 25kHz spaced simplex and repeater channels with CTCSS. The other was only partly converted and they came with a box full of spare boards and mounting plates and an original microphone and speaker. I wasn’t really looking for any more units but seemed a bargain for £20. 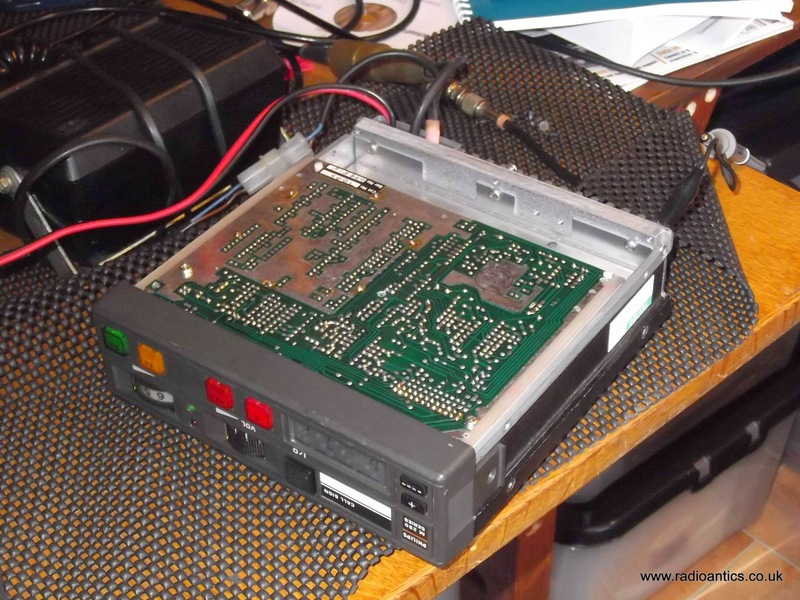 The PYE MX294 was indeed converted and seemed to work fine on the simplex channels, and while it was receiving and transmitting on the repeater channels it wasn’t transmitting the CTCSS sub-tone. With some sage information from Ian MW0IAN on twitter it was a simple issue to solve, using the oscilloscope I confirmed the tone was being generated it was the pot controlling the level that was set too low. I have made a couple of QSOs with it and had some good audio reports. It is capable of 25W but has been set to 10w output so may increase this in time. Stewart M0SDM from the club was kind enough to video a QSO to illustrate the audio. Impressed by the quality of the unit I have ordered a second hand copy of the PMR Conversion Handbook as published by the RSGB from eBay so I can finish the the other MX294 as information on the net is a bit sketchy. The Tait is proving a little more involved. It has a diode matrix board to set the Tx/Rx frequencies which has been set incorrectly. It also had a CTCSS board that was hard-wired in rather than socketed which I have now removed. The information of which diodes to link/unlink is freely available, however I decided to create a small windows utility to simplify the calculation. This is available for download from my website, it is supplied as is and with no warranty. There are a number of modifications to add multi-channel to this radio by the use of eproms, but I am considering devising an Arduino solution to allow setting of frequencies and possibly selection of CTCSS.